(aka a 'Multi-Passionate' or 'Scanner')? Have you been accused of being a dabbler, a dilettante or a quitter at some point in your life? Has anyone close to you ever said, "You never stick with anything!" or "When are you going to just get started already?" or "Are you off on another tangent?" Are you stopping yourself from moving forward with any passion because you're afraid it'll mean giving up on your other dreams and loves? Do you easily lose track of time? Do you forget to give yourself credit for all you've accomplished? Does the juice leave for you as soon as you've mastered something? Were you favorite classes in college the survey classes? Do you lose interest in things you thought would interest you forever? Are you madly in love with learning? Perfect! You are in the right place! And you are so very welcome here! feel like it's holding you back? If you want to do 20 different things (or a hundred!) with your life, but you've been resistant to choosing, I've got some VERY good news for you! You don't have to choose! The world needs ALL of you, ALL of your wild and varied passions. You owe it to all of us. You HAVE to do all of it. You GET to do all of it! When you're a Renaissance Woman, one path is never enough. And of course! When the world is so rich and full of possibilities, the very idea of picking only one thing to do -- and not doing the others -- is akin to cutting off an arm. Or trying to pick just ONE puppy or kitten from the litter. But the whole world tells us we have to pick, we must choose, and in fact literally schools us to do so. Which can leave us feeling left out (or screwed up) when we don't. We're trained that we have to find ONE thing that we're good at, and go for that. So many of us have tried so hard to pick that ONE thing, and so much trouble and turmoil -- inner and outer -- comes from that essential error in approach. Renaissance Women are people who simply cannot choose. Nor should we. Let go of judgment -- yours and others -- ('shallow', 'lazy', 'handicapped', 'a self-saboteur', 'undisciplined') and robustly and freely live the life you've wanted all along -- surrounded by a felt sense of support and celebration for your unique way of being in the world. Whoo-hoo! 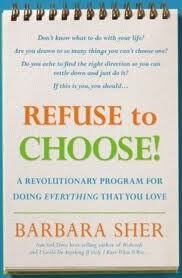 Full permission to NOT have to choose! Amen, sistah! 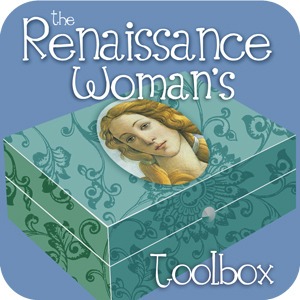 Learn what kind of Renaissance Woman you are. Are you a Jill-of-All-Trades? A Serial Specialist? A Wanderer? Sampler? Plate Spinner? Double Agent? I predict that the impact of these 2 curriculum modules alone will be worth your investment in this course! Avocation Station -- a dedicated place and method for easily managing all your many loves/passions/projects. Think of it at your Renaissance Woman's Command Central! Shhhlurp!! Customized Renaissance Woman's Daybook -- a new way to design your days, weeks and months that really works for your unique way of being in the world. Hint: It looks nothing like what's on the shelf in the office supply store! savor your love of discovery and your natural childlike delight in full engagement in ALL of your loves -- guilt-free and whole-hog! “If you’re looking for inspiration and support in expanding your capacity for living the life of your dreams, I encourage you to study with this woman. 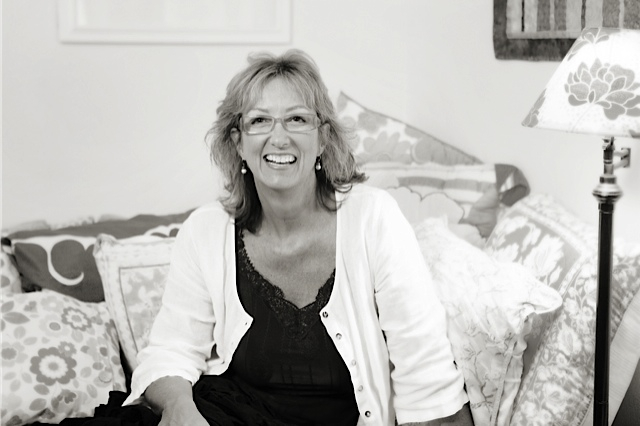 Claire brings childlike playfulness, loving presence and keen insight to the adventure of living the life of your dreams. "One thing that I am taking with me from this course is the idea of honoring my own pace and my own space, which is big. Realizing it's okay and normal for ME to have habits, rhythms and preferences that are different from everyone else's. Claire always knows just what to say. And her loving nature encompasses every interaction she has with her students, be it a post on the forum, an email response, or an answer on one of the live calls. She never hesitates with her answers to questions and her answers are always spot-on. She loves and honors all of her students and always makes me feel at "home." I become instantly relaxed and at ease as soon as I hear her voice. She has such a wonderful mix of laughter, joy and empathy, as well as true experiential knowledge of what she's teaching us. "I feel awash in love and appreciation for myself in ways I've always longed for but I didn't know how to get there before learning how to predictably create that stream in Claire's classes. I am forever grateful. Listen to this recording to get the full scoop on the course! It's a new way of learning from the comfort of your own home. It's equal parts hands-on learning, practice, support from kindreds, inspiration, community, and magic, pure and simple. 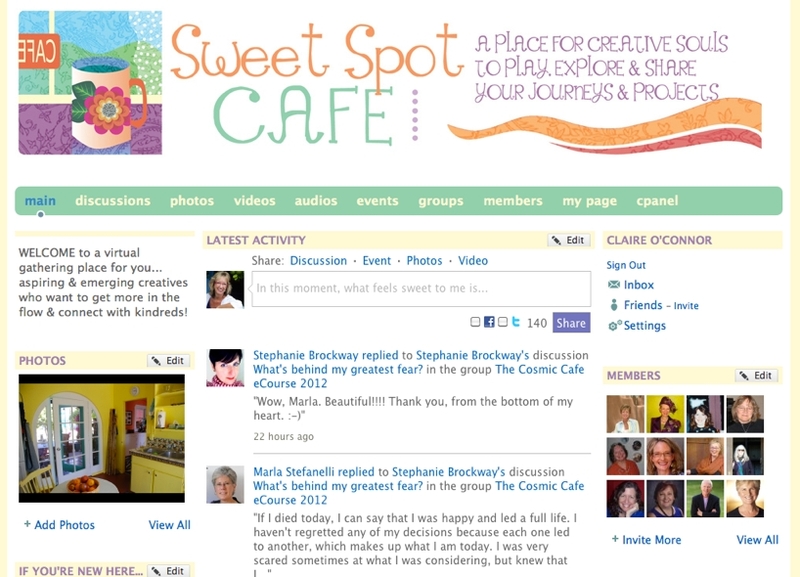 You’ll also have the opportunity to integrate what you're learning as you share your 'a-ha' moments, celebrate -- and get celebrated -- with fellow participants on our private online Discussion Forum. Click HERE to buy the book we'll be using as our inspiration and jumping-off point for this course. Or check other online retailers or your local library.